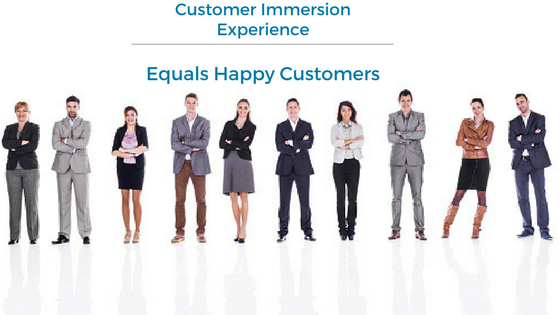 Have you Tried Immersing Yourself in Your Customer’s World? In its simplest terms customer immersion is the act of “spending a day in the life” of your customers. Someone from your organisation (usually senior management) becomes a customer and interacts with the organisation so they can go through the whole of the touch points a regular customer would and gain personally the “experience of the customer” throughout the whole of the customer journey. 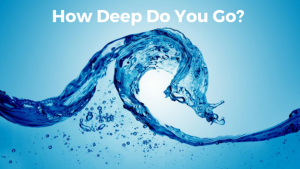 This will depend on your organisation and perhaps there are touch points that flag up more challenges, more frequently and you may certainly want look deeper into those areas. • Playing the role of the customer and walking in their shoes gives you a totally different perspective – especially if you have been involved in putting the customer journey together in the first place! • Your brand values will be on your website and in your literature (hopefully!) and it will give you an opportunity to see whether your experience as a customer matches your brand promises. • A solid understanding of what it is like to do business with your organisation will leave you with an overriding view of how you feel you have been treated as a customer. Feelings count! • Remember news of bad customer service reaches more than twice as many ears as praise for a good service experience. • You will have immediate actionable steps you can take to resolve any issues and you should find it easier when reviewing your touch points. This exercise we did really made us all think differently about conversations and interactions with our customers. One of the most significant challenges for businesses is staying engaged with their customers at all levels of the organisation. A key benefit of immersion is its allows us to focus on the reality for our customers and create a culture of consumer-focused thinking within the organisation, from top to bottom.